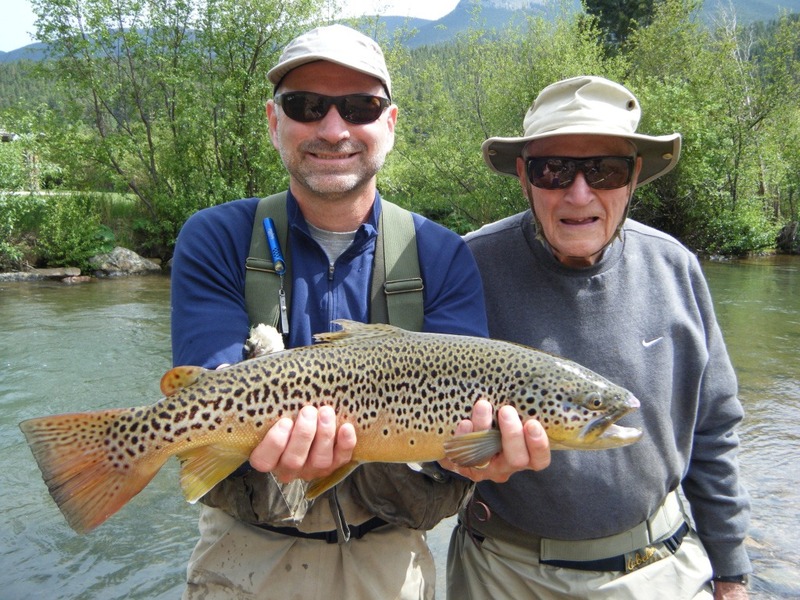 North America, one of the most serine places in the world, is also quite popular for fly fishing. 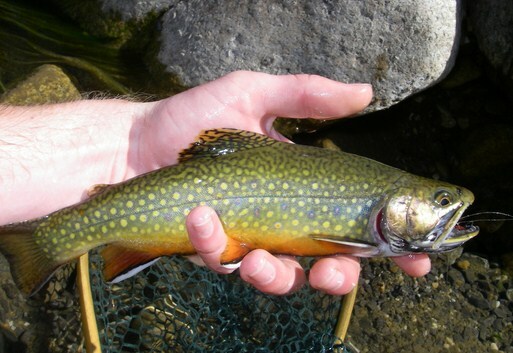 The trout, mostly found in the rivers and streams of North America is considered to be a great catch. The Rainbow trout are not only beautiful but also very tasty. Moreover, they are also a great fun to catch. Here, is an article that will help you learn about rainbow trout and their living. In terms of the characteristic and the shape, the rainbow trout is very similar to the salmon. They have dark spots on their tail fin that are very clearly visible to the eye. They have a dark olive colored back with silver shading underneath. They have various colored strips running horizontally on their heavily spotted body. These stripes are the reason this trout is named as rainbow trout. The Steelhead is a kind of a rainbow trout that lives in river waters for several years and returns to the fresh water, is a very common one found in North America, mostly in the area extending from the west of the Rockies to the northwestern Mexico. Sometimes one can even find them in Great lake regions, south central Canada and also the areas close by to the Great Plains. The most interesting part of this beautiful trout is its fishing. Fishing for a rainbow trout in North America is considered a very prominent activity. It not only gives a way to eat tasty food but also an entertaining activity to kill the boredom. These beautiful creatures mostly spawn during the springs. Their spawning occurs in either small tributaries or the inlet and outlets of a lake. Interesting fact about these trout is that they become darker at their spawning stage. Their strips get even more beautiful and their spots darker than the normal. This is a reason why people consider that spawning very a good time for the trout to be let out. The ways one can use to catch a rainbow fish are fly fishing, spin fishing and also ultra light fishing. Among all the three techniques of catching the rainbow trout, the fly fishing is the ideal one. The trout fly fishing is very interesting and also quite easy. This is because fly fishing is the only way that will help fish the rainbow trout for the masters as well as the beginners. For catching this trout by using the fly fishing techniques, one needs to have appropriate trout fishing gears and the latest trout fishing equipments. Both these gears and equipments should be easy to use and of the latest brand, as they are the sole ones that make the fishing easy and efficient. Now, when you know all about this beautiful aquatic creature, that not only has grace but also a varied taste, why sit thinking? Get up and pick you rainbow trout fishing gears and equipments, and give it a bang on beginning.